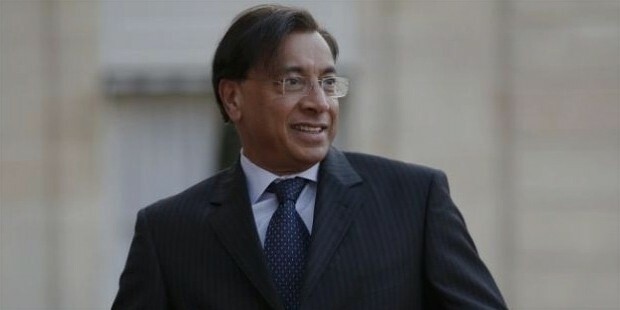 c is an Indian-born steel magnate who is currently based in the United Kingdom and is the chairman and CEO of ArcelorMittal, the world’s largest manufacturer of steel. Fondly referred to as the Steel Baron of India, he is known for his lavish lifestyle and spending money on his family. 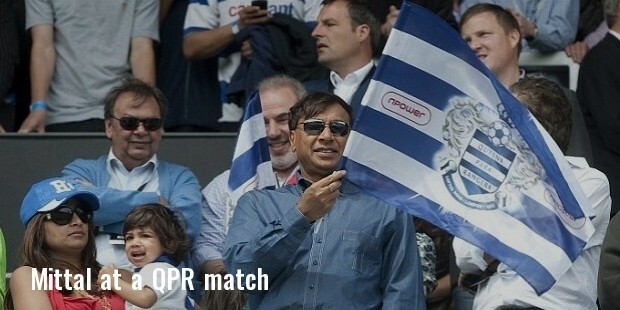 He is the owner of a majority (38%) of the total shares in ArcelorMittal and is also the co-owner of the Queens Park Rangers F. C. with 34% stake in the professional football club. He is also an independent director of Goldman Sachs and is on the board of directors of the European Aeronautic Defense and Space Company. Mittal is popularly known for his lavish lifestyle and incredible success statement. Lakshmi Niwas Mittal was born on June 15, 1950 in Sadalpur town in Rajasthan state to a traditional Marwari family. 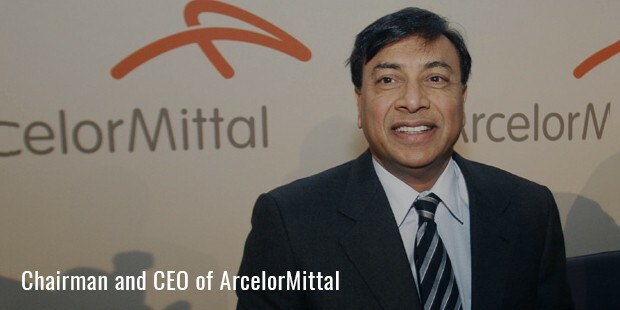 Mittal was born to a conservative business-class Marwari family in Rajasthan. His father, Mohan Lal Mittal, ran a steel business, Nippon Denro Ispat in Rajasthan. He attended the Sri Daulatram Nopany Vidyalaya in Kolkata from 1957 to 1964. He later attended the St. Xavier’s College. He earned his Bachelor of Commerce degree from the University of Calcutta. Due to a curb in regulations for steel-making in India, in 1976 Mittal started his first PT Ispat Indo in Sidoarjo, East Java, Indonesia. Till the 1990’s, the family owned a cold-rolling mill for steel sheets in Nagpur and an alloy-steel plant near Pune, both in Maharashtra state of India. Now, the family business is run separately with a large integrated steel plant near Mumbai. His brothers handled most of the business in India. His son has no connections to it. He setup Mittal Champions Trust after seeing the performance by India in Olympics last few years. The trust was created to support 10 Indian athletes with the potential to beat the world. Mittal awarded Olympic winner Abhinav Bindra with 1.5 crores for winning the Gold Medal in Shooting. 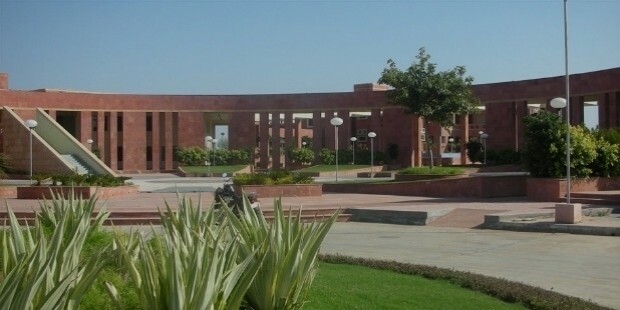 Along with the Government of Rajasthan, Lakshmi Niwas Mittal and Usha Mittal Foundation founded the LNM Institute of Information Technology (LNMIIT) university in 2003 in Jaipur, Rajasthan as an autonomous not-for-profit organization. The Mittal group made many donations till now. In the year 2008, Mittal made a donation of 15 million pounds to great Ormond Street Hospital in London. 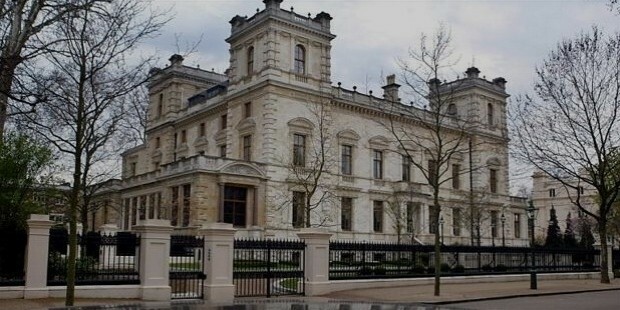 Lakshmi Mittal purchased his residence in UK from Formula One boss Bernie Ecclestone. It was the world’s most expensive house at that time in the world. 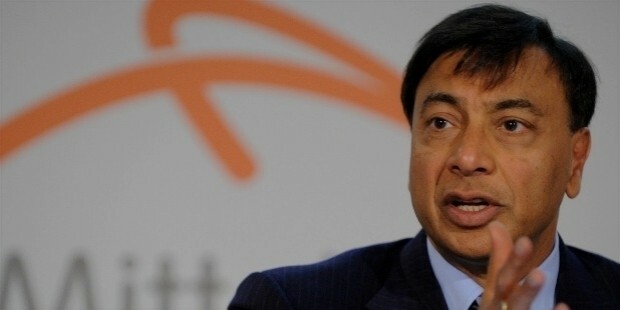 The Sunday Times named Lakshmi Mittal as the Business Person of 2006. He is also named as the Person of the Year by the Financial Times. 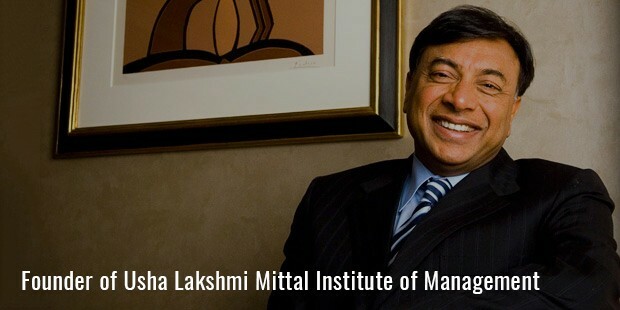 Lakshmi Mittal is an Indian citizen although he is based out of Kensington Palace Gardens, London, United Kingdom. He brought the large mansion from former-Formula One boss Bernie Ecclestone for around $128m in 2004, making it the world’s most expensive house at the time. It’s decorated with marble taken from the same quarry as the Taj Mahal in India. 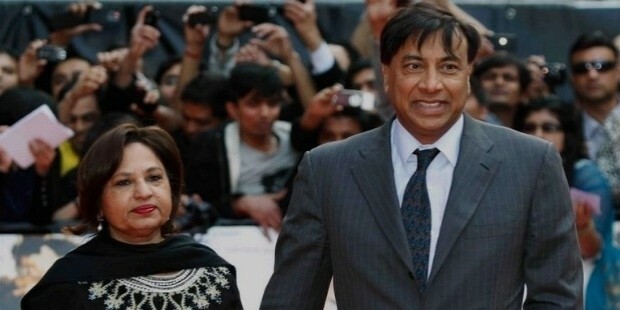 Lakshmi Mittal is married to Usha Mittal and has two children, son Aditya and daughter Vanisha. 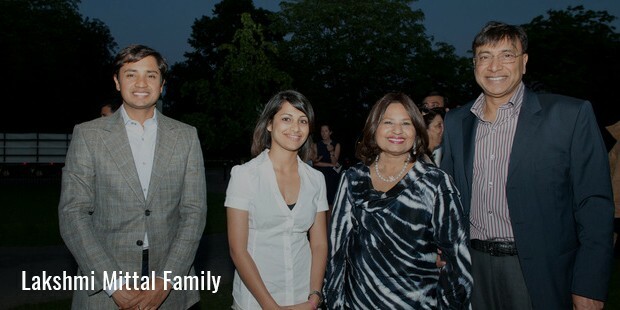 His daughter, Vanisha Mittal, is married to businessman and philanthropist, Amit Bhatia since 2008. Mittal is known for his lavish lifestyle and his daughter’s wedding is the second most expennsive wedding to have ever taken place in the world just behind Prince Charles and Lady Diana’s wedding. Mittal owns many prime properties across the country, especially around London. He bought three properties worth more than $8b on the famous ‘Billionaires Row’ at Kensington Palace Gardens. In 2005, Mittal bought a colonial bungalow for around $30m on one of India’s most expensive and exclusive residential areas, the No. 22, Dr. APJ Abdul Kalam Road in New Delhi, and rebuilt it as a house.